Categories: All-In-One, Cleaner, Moisturizer, Polish, Protector. Outstanding: Cleans, moisturizes, protects and shines in 30 seconds without buffing! 100% natural and biodegradable. The essential one-step product for complete leather care. 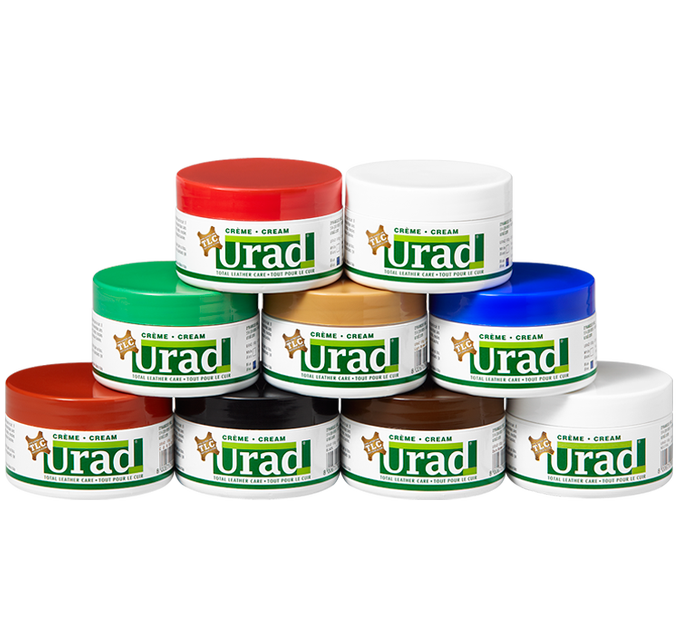 URAD NEUTRAL brings back and revives the original color. 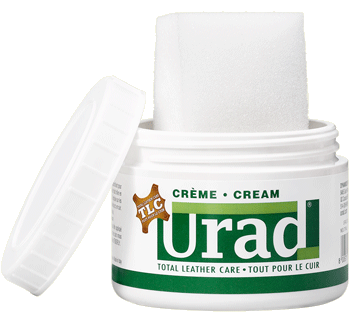 URAD is remarkable in restoring damaged or dried-up leathers to mint condition. Also an efficient protection against water, salt, calcium and mold problems. 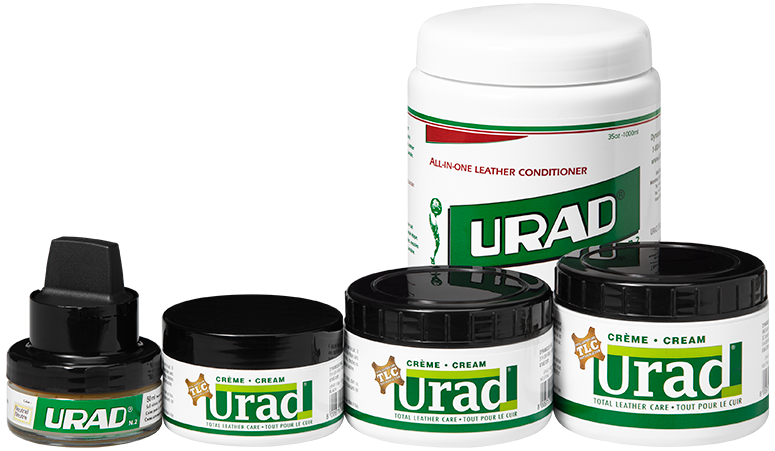 Preferably use URAD NEUTRAL on furniture and saddles, and URAD COLOR on boots and shoes. Test color resistance on a concealed part. 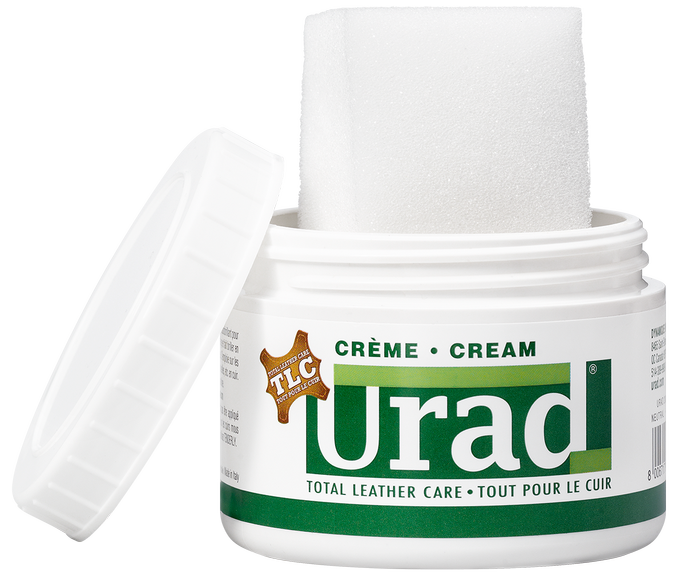 Tenderly and URAD are often used together on furniture or clothing. Either one after the other or preferably mixed together. Apply a very small amount with the sponge provided. Gently rub it in and leave to dry for a few minutes.